Ideally, the skin gradually shrinks and adjusts overall to changes in body mass. However, in some cases, people are left with a double chin or saggy skin when the skin can't keep up with the weight loss. This may be due to the body storing fat in the face, which makes areas such as the chin prone to loose skin. Other factors include your skin's elasticity and the amount of weight you lost. The most effective way to firm up the skin is keeping it healthy. With advancements in weight-loss surgeries, more people lose large amounts of weight rapidly. The skin is an organ, and it needs time to adjust to weight changes. According to Columbia Health, if you lose between 50 and 100 pounds rapidly, your skin is less likely to shrink in time. By losing less than 50 pounds at a rate of one to three pounds a week, your skin is more likely to adjust to your decreased body mass. You may have heard of performing facial exercises to tighten up your skin, but there is no evidence to support this. Two small studies published in 2013 in the "International Association of Logopedics and Phoniatrics" and the "Aesthetic Surgery Journal" found that facial exercises are not effective for saggy skin or reducing wrinkles. Skin cannot be tightened through exercise, since it is not a muscle. Give your skin the best chance of bouncing back by giving it the nutrients it needs. Aim to drink at least nine to 13 cups of water daily. Water keeps your skin hydrated, which protects its elasticity. Wear sunscreen every day of at least 15 SPF to protect your skin from sun damage. 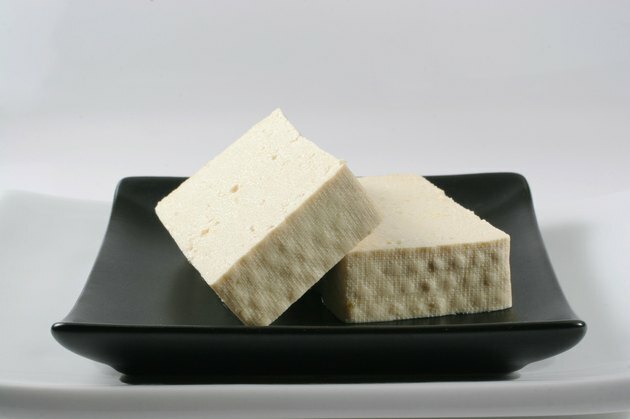 Protein-dense foods such as cottage cheese, milk, legumes, tofu, lentils, seeds, nuts such as almonds, and seafood all contain collagen- and elastin-forming properties, as well as essential oils to help maintain healthy skin. People often opt for surgery as a last resort, and sometimes it is required to improve the appearance of loose skin. Most experts suggest you give your skin at least two years to firm up before considering surgery, according to Columbia Health. The most common procedure is known as a neck lift, while others opt for liposuction to remove the fat causing a double chin. Consult your doctor about your options as well as noninvasive procedures that don't require surgery. Aesthetic Surgery Journal: The Effectiveness of Facial Exercises for Facial Rejuvenation: A Systematic Review. Can You Firm Sagging Skin Without Surgery?